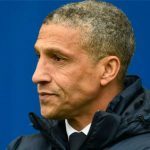 Brighton manager, Chris Hughton, believes his side have a “proper fight’ on their hands after losing to fellow relegation strugglers Cardiff in front of their home fans. EPL sees the bookmakers getting it spot on with Bournemouth, Man City, West Ham and Brighton all securing victories in the onset of Premier League. Match Day 5 of the English Premier League comes to a close after a thrilling 2-2 draw between South Coast rivals Southampton and Brighton at St Mary's. 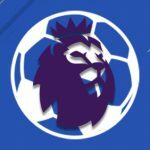 A round-up from the Premier League games involving the two Manchester clubs with polar opposite results during Week 2. Week 35 of the Premier League kicks off with a spot of midweek action as Brighton move eight points clear of safety with a vital draw at home to Spurs.